Patio doors are a simple and cost-effective way to improve your home; bringing light into any room whilst ensuring you home is secure. A patio door is also perfect where there’s limited space, the door slides to one side instead of opening out into your living space. 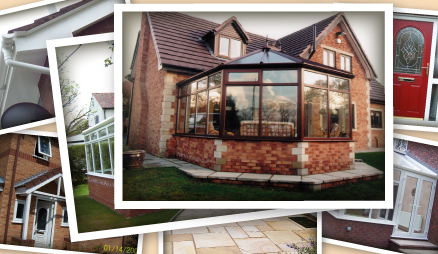 Valmar Windows Limited can cater for your every need from design services, through to installation. 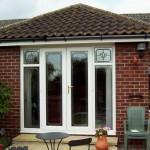 Our in-line patio door provides an unbeatable level of security with smooth effortless operation. Our superior uPVC products are designed by computer and manufactured to the highest quality at every stage of production. 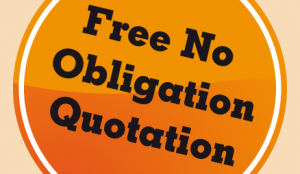 They comply with the strictest quality control conditions tested against the stringent requirements of the British Standards Institute. Valmar Windows Limited use a fully welded system which is internally glazed for security and uses a depth profile with a multi-point locking system. The door slides on the inside of the house for maximum security. The locking system comprises of four concealed hooks which are built into a one-piece keep incorporating a shootbolt to the top and bottom. 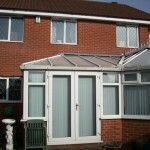 Our in-line patio door is also fitted with anti-slam and anti-lift devices. A strong aluminium interlock prevents panels from being levered apart. Our patio door is smooth in its operation with durable steel rollers and track. Precise weatherproof sealing and 28mm double-glazed units provide an excellent thermal and acoustic barrier against the wind, rain and external noise. And, whilst being functional, it is also attractive, with sculptured ovular beading to give the kind of aesthetic appeal you’d expect from such a high quality product. The quality of the double-glazed unit is equally important: we insist on units with the British Standards Institution Kitemark of quality. 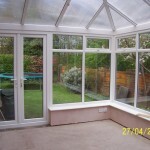 We use a full 28mm unit and toughened glass is fitted, as standard, in all our patio doors. 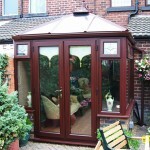 If you wish to customise your new patio door then glazing options can make it easy for you. Choose from our extensive selection of wonderful designs, carefully created with vivid lasting colour, to give a unique style. The imaginative Pilkington range of patterned glass also offers versatility, elegance and privacy. UPVC products reduce the amount of time you spend maintaining your property dramatically: no annual painting, varnishing or repairing; saving you time and money. 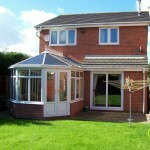 Valmar Windows Limited can also offer a full building works service. 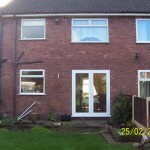 We can create an opening for your new patio doors where there is none, or a window, currently. Please Contact Us for more details. For more information, guidance and advice visit the Visage buyers guide.